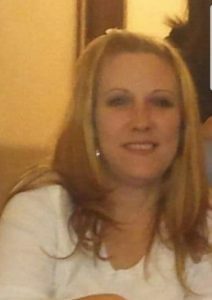 Ms. Dana Cox Welch of Campbellsville passed from this life on Monday, February 4, 2019 at the Taylor Regional Hospital after an extended illness. Born on June 30, 1974 to the late Dannie Dale Cox and Rebecca (Seaborne) Brown, she was 44 years, 7 months, and 5 days of age. She had made a profession of faith in Christ and was of the Christian faith. Mrs. Welch was the former manager at Colorama in Campbellsville until her health forced her into early retirement. She cherished her family time, and loved working puzzles or simply watching Netflix with them. And several other relatives and friends, including Tara Seaborne Glover, Julie Franklin, and Kymberli Fitzgerald. There will be a funeral service to honor the life of Ms. Welch on Friday, February 8, 2019 at 2:00 PM in the chapel of the L.R. Petty Funeral Home. Travis Bright will be officiating. Ms. Welch’s request to be cremated will be honored after the service. The family will receive friends at the funeral home on Friday, Feb 8, from 11:00 AM until time for the service. In lieu of flowers, please consider memorials in the form of donations to the funeral expenses. Those can be made in person at the funeral home.